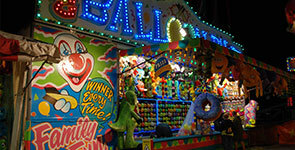 Take a look at the Lapeer Days schedule of events by following this link: Click Here. If you’re interested in being a vendor (on Nepessing Street) at Lapeer Days, then click here for more information. Vendor space is filling up quickly, so don’t delay! 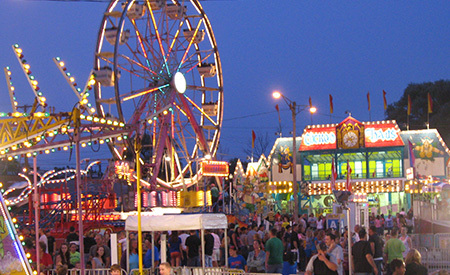 Our Sponsors are the businesses and people that have allowed us to have an amazing Lapeer Days – see them all by clicking here. 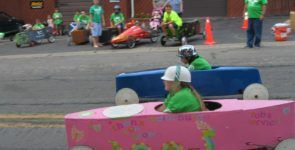 The Annual Soap Box Derby is great fun for boys, girls and dad’s alike. The Derby has been a favorite event at the festival since 2005. EAST ANNROOK PARK NEXT TO ANNROOK PARTY STORE. The Arts & Craft Show is located at the north end of Annrook Park along the the river. 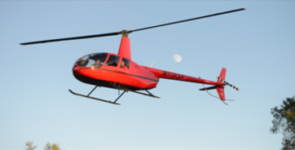 Get all of the details here. Registrations must be submitted to the Lapeer Chamber of Commerce, 108 W. Park Street, BY JULY 22. The parade will be held on Saturday, August 17, 2019, promptly at 11:00AM. Everyone loves a parade! 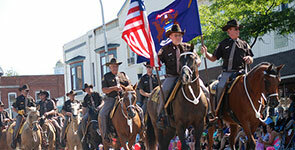 Over 100 entries makes this parade Lapeer County’s largest! The John Monteleone Memorial Classic Car show has been a part of Lapeer Days for 30 years. Held in beautiful Rotary Park, Sunday, August 18. Take a trip down memory lane and enjoy the sounds of classic rock & roll from the 50’s, 60’s and 70’s! Under the Farmer’s Market Pavilion! at Lapeer High School and FREE transportation to downtown. On Aug. 28, 1902, Alonzo A. Bostick and his son Austin celebrated the grand opening of Bostick Stove Works in Lapeer. Neither Alonzo nor his son could have foreseen the legacy they bestowed on our community. 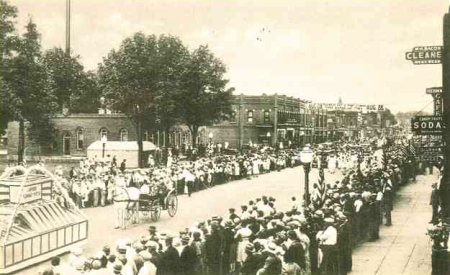 The simple grand opening celebration inspired the idea of a community festival held for the first time the following year. The Lapeer Days Festival was born. From simple beginning’s it has grown over the years to become the county’s largest festival and Michigan’s largest FREE festival!